Welcome to 3 Sis bed and breakfast your home away from home. 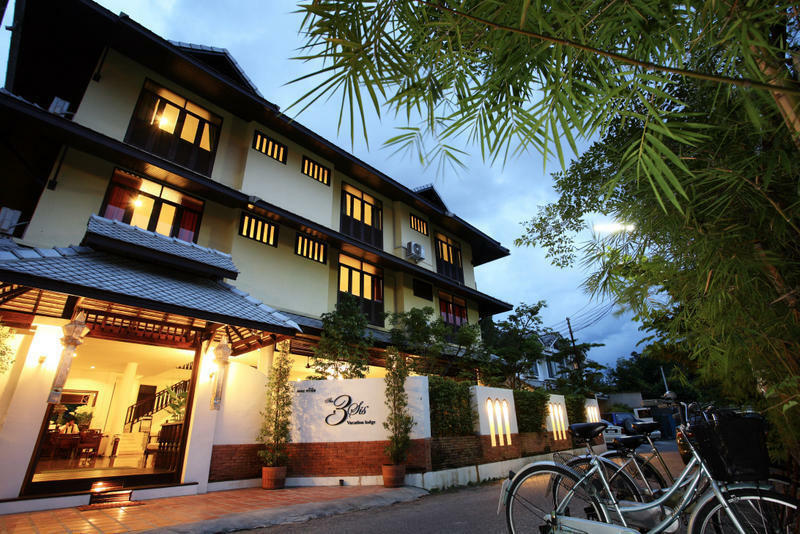 Located in the heart of historic Chiang Mai, our friendly family-run bed and breakfast offers you a great place to relax and enjoy your vacation. We are perfectly situated within a short stroll to Chiang Mai's renowned temples and attractions, including the Statue of The Three Kings, the Chedi Luang Temple, Chiang Mai's must-see Sunday night market, restaurants, and coffee shops. All rooms are individually and stylishly decorated in contemporary Thai style. All rooms are equipped for a soothing and pleasant stay, with en-suite bathroom, mini-fridge, drinking water, air conditioning, and flat screen TV with international sports, news and movie channels. We have wireless internet access throughout the entire premises. The 3 Sis* Bistro offers Thai and western cuisine and a full range of beverages at a reasonable price. Tourist attractions are conveniently located at our doorstep. We are situated in the inner part of the old city wall. The closest landmark is the Chedi Luang Temple. From the airport: Instruct the taxi driver to go to Number 1/3, Soi 8 of Phrapokklao Road. The Soi ( i.e., avenue) is opposite the Chedi Luang Temple. We are the first house on the left side of the Soi. The ride from the airport should take 15 minutes. Taxi fee should be no greater than 150 Baht. From the bus terminal or train station: Instruct the Tuk Tuk or Songtaew driver to take you towards the Chedi Luang Temple. Ask them to take you to Soi 8 of Phrapokklao Road, which is the avenue opposite the Chedi Luang temple. We are the first house on the left side of the Soi. Transport fee should be about 30 baht per person by Songtaew and 50-70 Baht for each Tuk Tuk.